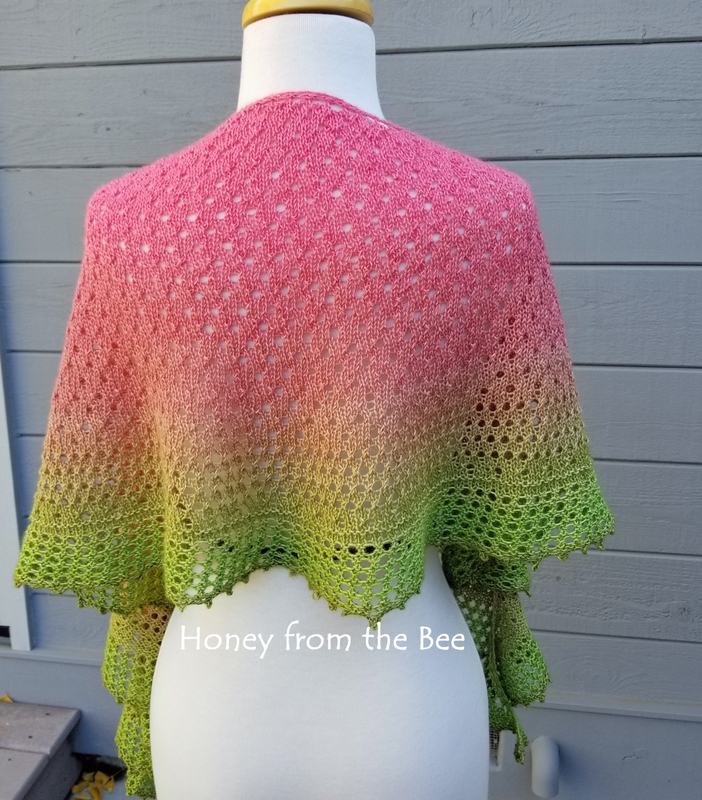 I'm calling this luxurious shawl Rosebud. 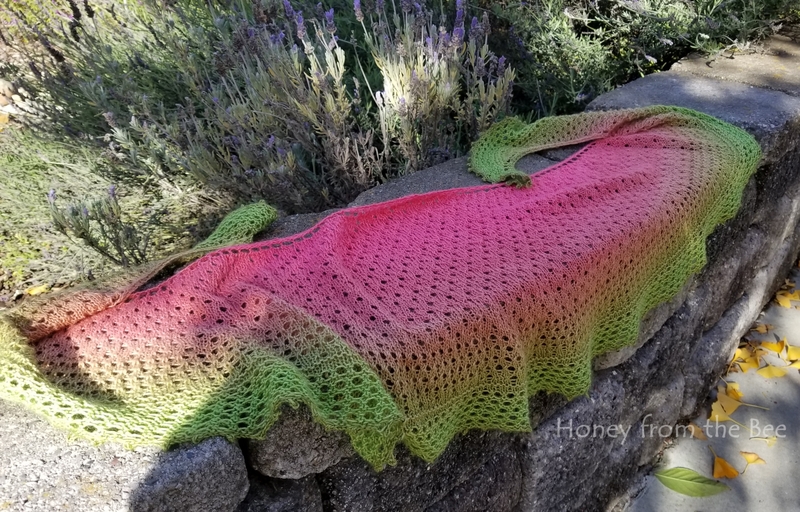 The luxury wool I used in this shawl was exquisitely dyed in shades of pink and green. 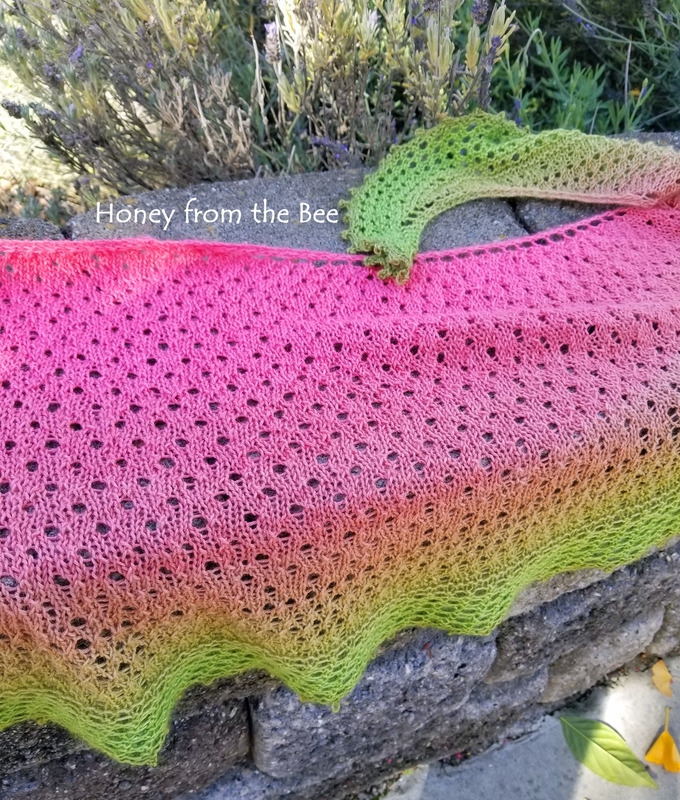 As a friend said it looks like watermelon, but while knitting I thought it looked more and more like a rose. 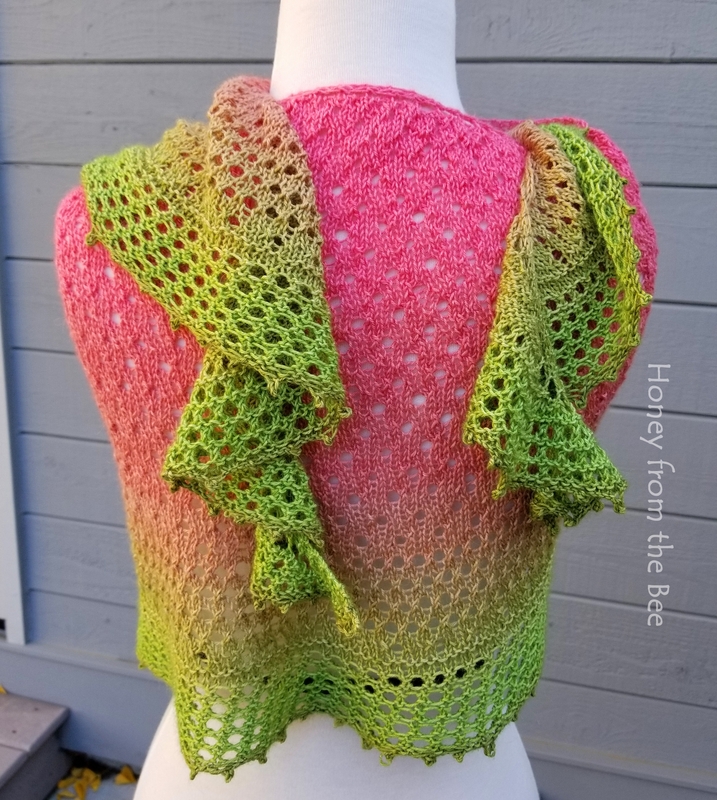 Whatever image comes to mind it's a sweet happy wrap to wear year round. Scrunch it up and you've got a warm soft scarf for the winter. Throw it over your shoulders on a foggy summer morning. Care: Unless soiled, just air out from time to time. If soiled, hand wash in cold water and lay flat to dry.